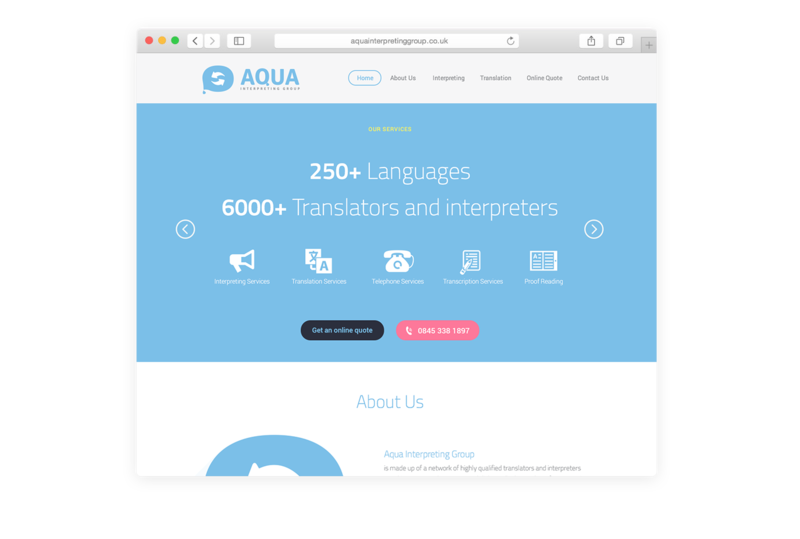 Aqua Interpreting Group is a network of highly qualified translators and interpreters speaking over 200 languages and dialects.  Refresh the company's look by redesigning the old logo. 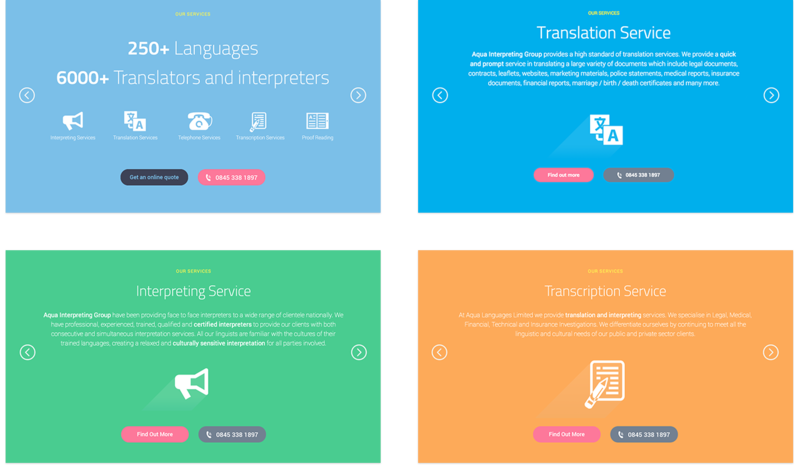 Create a responsive website where users can easily upload the files needed to be translated and ask for a quote. 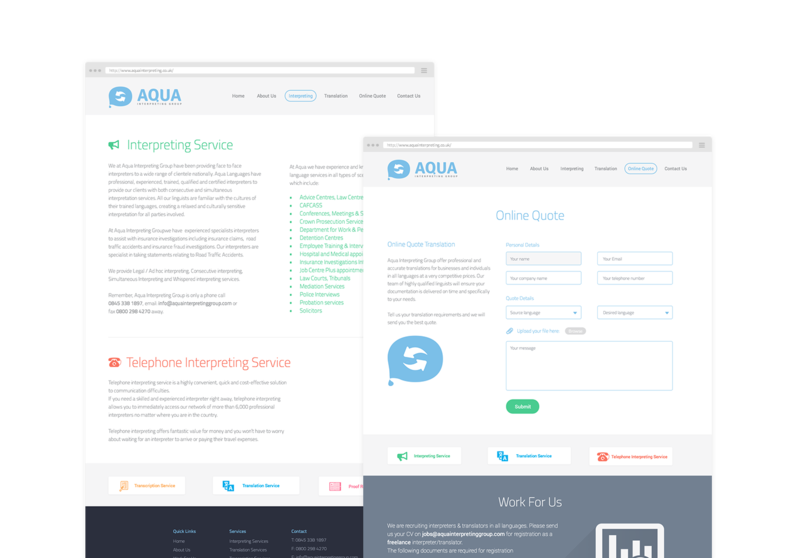 For the website design, I have chosen to use a minimal style and suggestive icons for the services the company provides. I have attributed flat but vibrant colours to the call to action sections, to emphasise the services and maximise the user clicks. 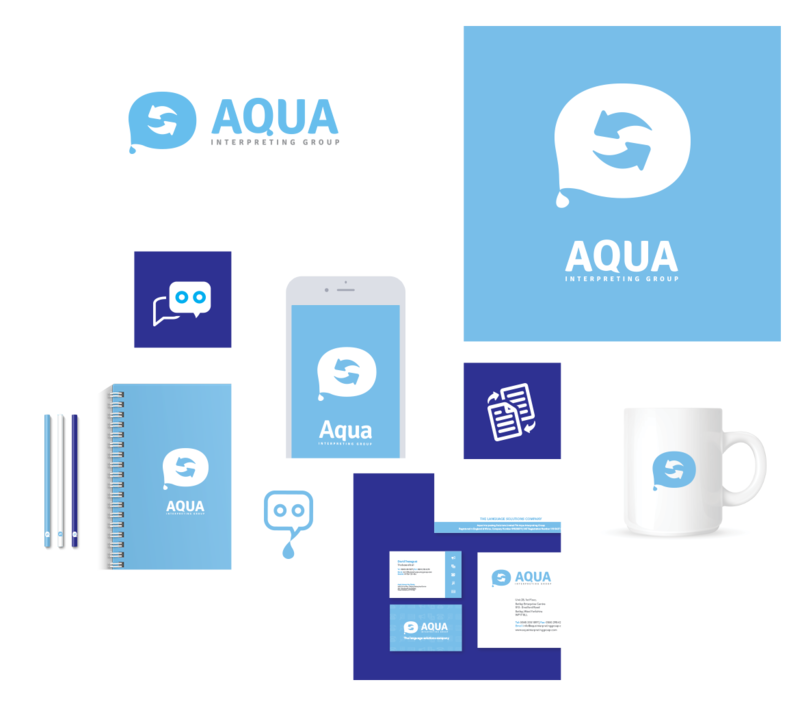 Having to design a responsive website, I decided that the use of imagery is not necessarily needed; and to have a faster mobile browsing experience I did not use any. 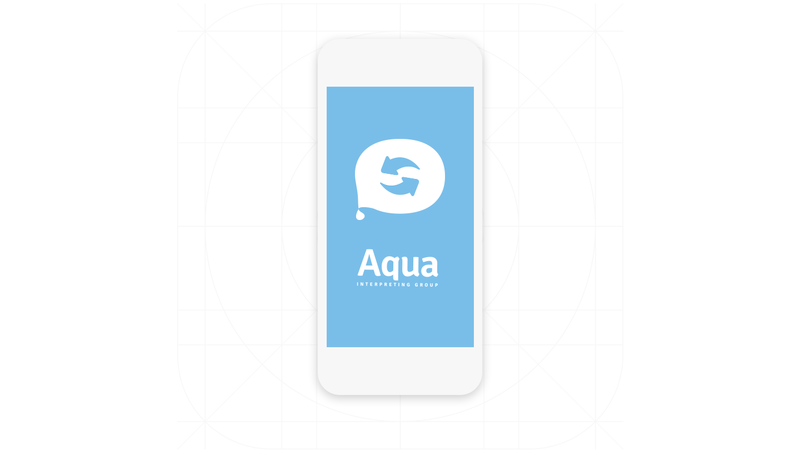 The idea was to guide the user through the website in the easiest way possible, and to help the user focus on the content.